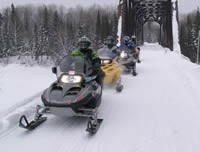 ‘Ontario’s Wilderness Region’ in Northern Ontario is home to spectacular scenery, majestic wildlife, friendly communities, and some of the best snowmobile trails in the province. 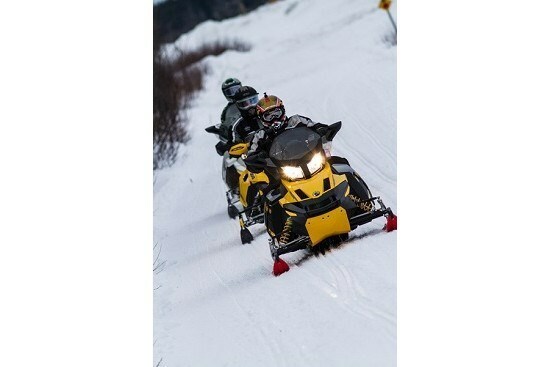 The Gold Rush Snowmobile Tour in OFSC District 14 - Timiskaming Abitibi Trail Association (TATA) is quickly becoming a hot spot tourist destination for snowmobilers of all levels. This would set the stage for a unique ride where a small group of veteran riders set out to conquer the original loop in all it’s glory. 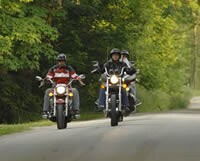 In addition to our veteran riders, two special guests would be joining the crew for a once in a lifetime experience. 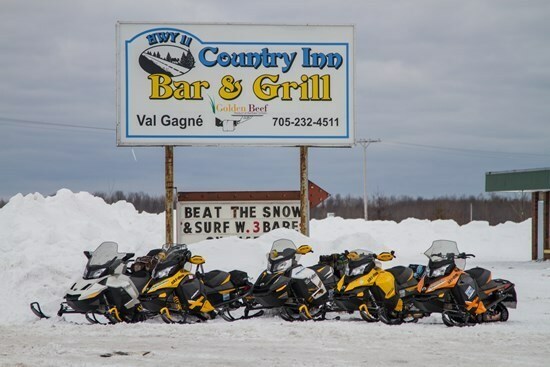 Northeastern Ontario Tourism, in the hope of generating interest and increased awareness about this winter's snowmobiling season, developed a contest which they promoted in the fall of 2012. One name was randomly drawn and the lucky spot went to Jeff Langevin, of Peterborough Ontario. Langevin was allowed to bring a guest with him choosing his long time riding buddy Ryan Quigley. 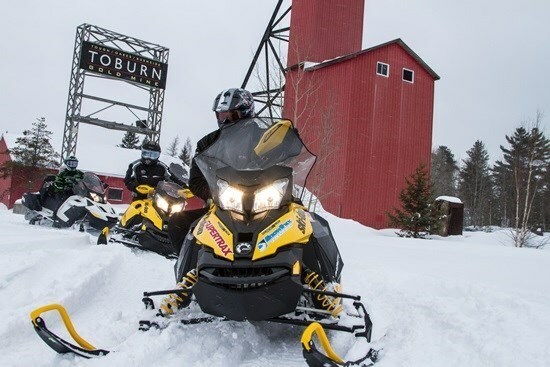 The boys spent a full 4 days on an all expense paid trip, riding The Gold Rush Tour with Supertrax Media, and were treated to full VIP treatment thanks to BRP and Sleddealers.ca, who provided them with brand new 2013 prototype machines to ride. The inception of the original Gold Rush Tour dates back to the early 2000’s, thanks to forward thinking minds of five key players in the northern Ontario region; Don Studholme (at the time Tourism Kirkland Lake), Will Saari (Tourism Timmins), Sean Mackey (Owner of The Quality Inn and Holiday Inn in New Liskeard), John Arkwright (Supertrax Media) and Claude Aumont (Ontario Tourism). Aumont explains the origins of the tour; “The original Gold Rush Tour was 450 miles around District 14 of the OFSC (TATA) Timiskaming Abiti Trail Association. It was meant to connect all the communities of District 14 and to give it a name, a brand and self guided tour”. With it taking on life as the newest loop in the area, the main trail would cover the TOP A Trail to A107C, to TOP C trail to A111C, to TOP A trail, back on A108 back to New Liskeard. 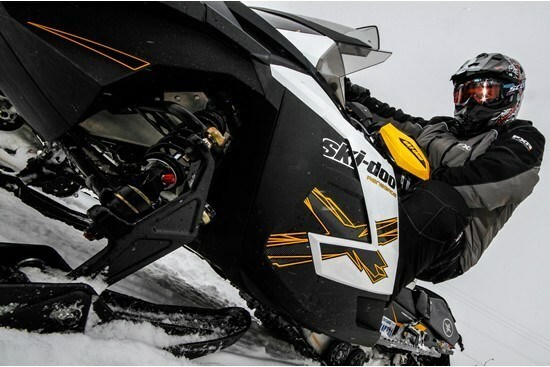 This would allow for easy navigation in Northern Ontario, with a goal of offering killer riding conditions as well as a variety of terrain, for anyone from a first-time visitor to seasoned vet. 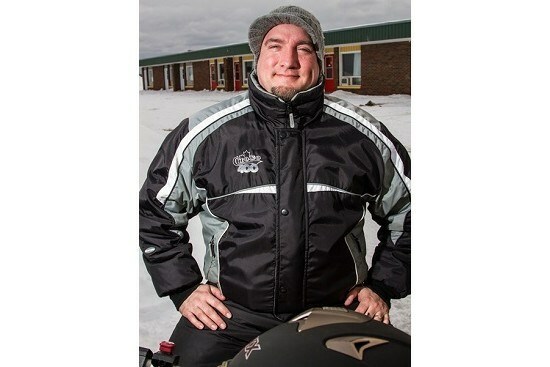 Contest winner (and veteran snowmobiler) Jeff Langevin said this about his first experience on the Gold Rush Tour: “I was always a little nervous to snowmobile in Northern, Ontario. I thought "my god, if I get lost, I'm a dead man! There's probably no signage and towns are 1000's of miles in between. Rest assured, that is not the case. The signage is plentiful, and more importantly, very clear. As a matter of fact, (with all due respect to the clubs in southern Ontario), the signage up north is far better. Sure you have to plan your fuel stops but the trails run right through the town so it's not an inconvenience at all. I had always been told over and over, the trails are like roads up north, it's incredible! Well, that is no exaggeration! I can't even begin to think of an adjective that would accurately describe the trails in Northern ON. I’m speechless. I guess if I had to describe it to someone who has never been, I would say, it's what you dream about as a snowmobiler; miles and miles of gorgeous scenery and perfect trails, it's what snowmobiling should be every time you go out. It actually rekindled my passion for snowmobiling, I can't say enough”. Seeing as how this was a multi day voyage, comfortable accommodations and good food were as important as the quality of the trails. 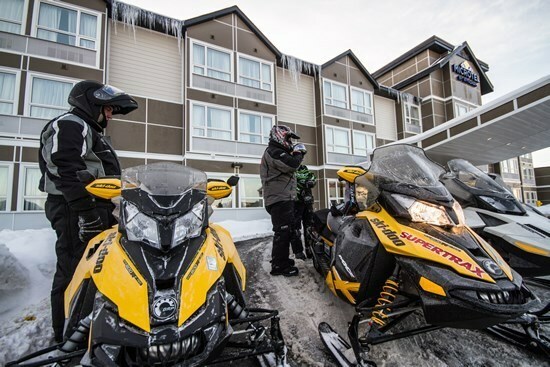 Thankfully the entire Northern region is loaded with quality restaurants and hotels, all of which are snowmobile friendly, in almost all cases you can ride right up to your room and park. Timmins had recently opened a new Microtel and everything about it was first class as described by one of our crew members. “I walked in the lobby and it was already the nicest hotel I had ever been in. The staff was friendly, accommodating and very helpful and most importantly, welcomed us as snowmobilers. The rooms were spacious, modern, clean, and had all of the amenities you could ask for. The next morning the breakfast was hot and delicious”. They also spent a night and dinner at Long Point Lodge and Comfort Inn in Kirkland Lake. They were treated to excellent food and service at The Highway 11 Country Inn in Val Gagne, while The Federal Tavern (also known as Club Fed to the locals) in Kirkland Lake, was as much about the history of the region as the food with photos adorning the walls of past and present local hero’s in the community. 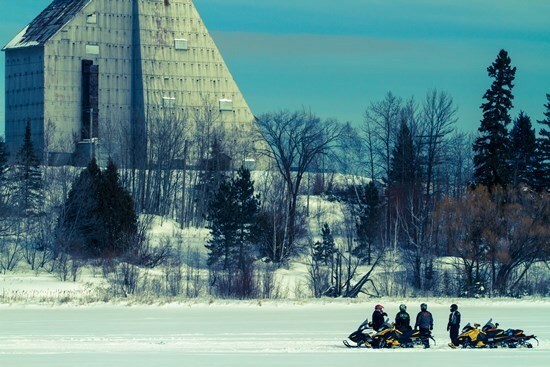 If you are an avid snowmobiler and have yet to make your way to Northern Ontario, the Gold Rush Tour in OFSC District 14 in Ontario’s Wilderness Region, it’s not too late! With prime snow conditions expected well into the April, get out and experience some of the best trails the province has to offer! Visit www.northeasternontario.com or www.GoRideOntario.com for more information.